Why worry about what apps to put in your dock or your home screen when you can put over a dozen app, web and contact launchers in your Launcher widget right in the Notification Center? 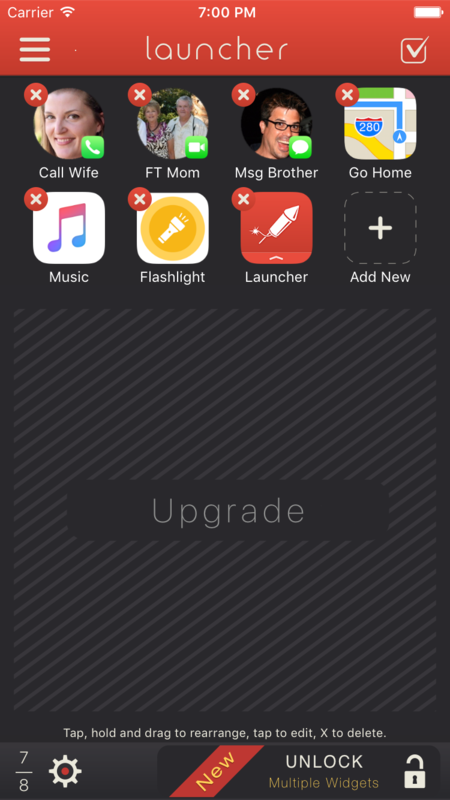 New in v2.0: Unlock up to 6 total widgets (with an in-app purchase) for more space for launchers, better organization, and the ability to show or hide widgets based on day, time and/or location. Set up specific widgets for morning, weekends, home, work, the gym or anything you can come up with and always have relevant launchers just a swipe away. Multiple widgets are not available on iPhone 4S. Call, message, email, and facetime the people you contact the most. 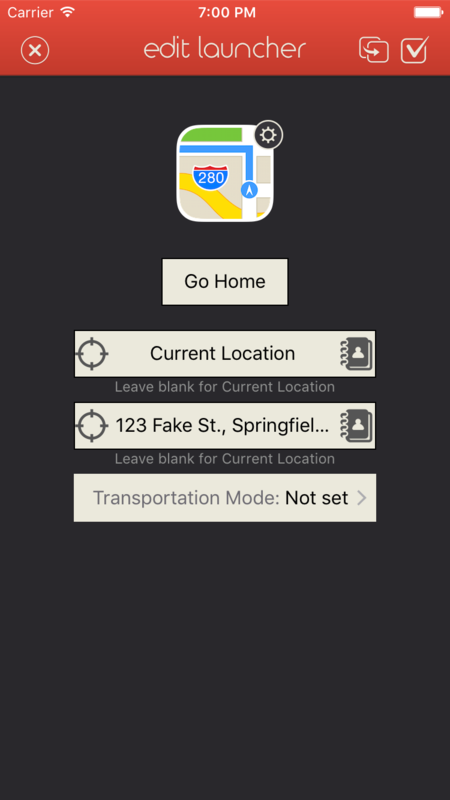 Get directions home or search for nearby restaurants, coffee shops wherever you are. Quickly access your favorite web sites. Perform actions within a number of apps. Send a Yo, Run a Workflow, fire off a canned email, and more. Launch your most frequently used apps -- thousands of apps built-in. Backup and restore launchers to and from iCloud. Innovative auto-setup of launchers which will set up contact launcher for the people most important to you and your most frequently used apps. Incredibly easy setup and editing of launchers. Just a few taps and you're done. Many different icon choices so that you can configure each launcher just how you like it. Pro Version users get the ability to change the icon sizes and hide labels to make widget more compact. 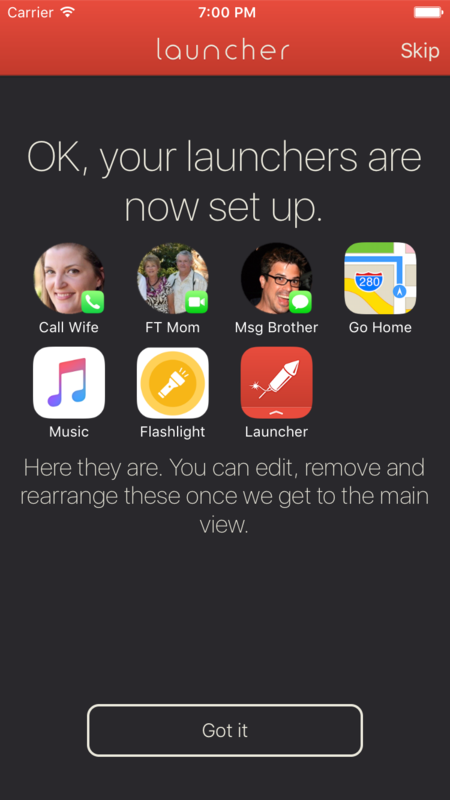 Choose up to four launchers to set as 3D-touch home screen quick actions for iPhone 6S and 6S Plus. Set up widgets to show or hide based on time, day and/or location.